The breath seems so simple. We breathe easily in sleep. We struggle to breathe when our bodies are stressed. But how often do we think about our breath? 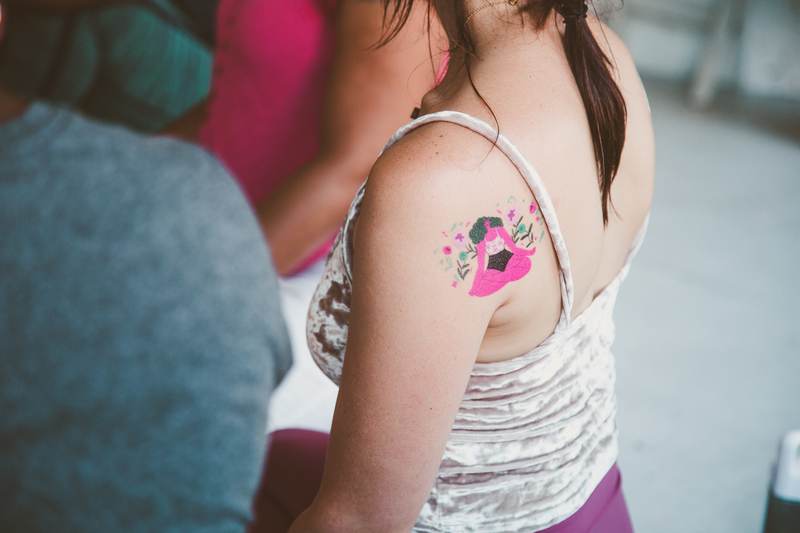 When I first started practicing yoga I was self-conscious about the sound of my breath. It felt weird for other people to hear me breathing so clearly and to hear them breathe right next to me. If felt more intimate than I was ready for. I’d hear the teacher say, “yoga is all about the breath. 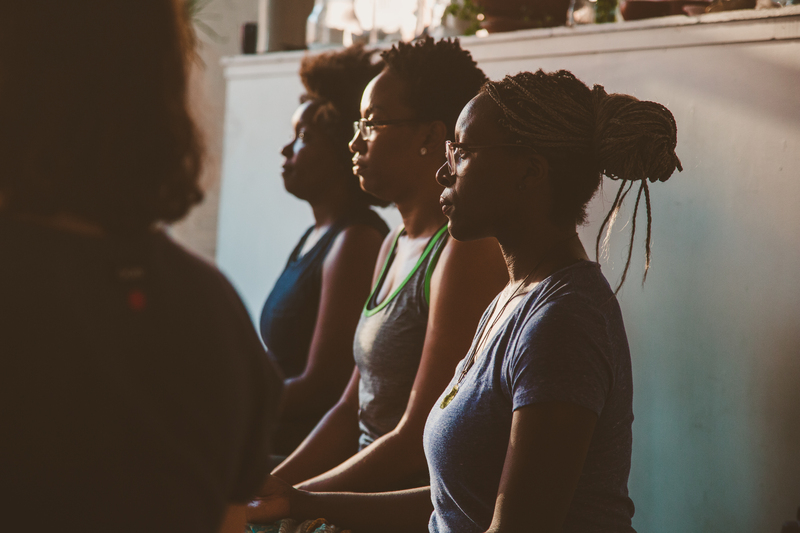 If you’re not breathing you’re not practicing yoga,” and I’d think “of course I’m breathing, I have to!” I didn’t understand the significance of breathing with intentionality and fullness for a while. 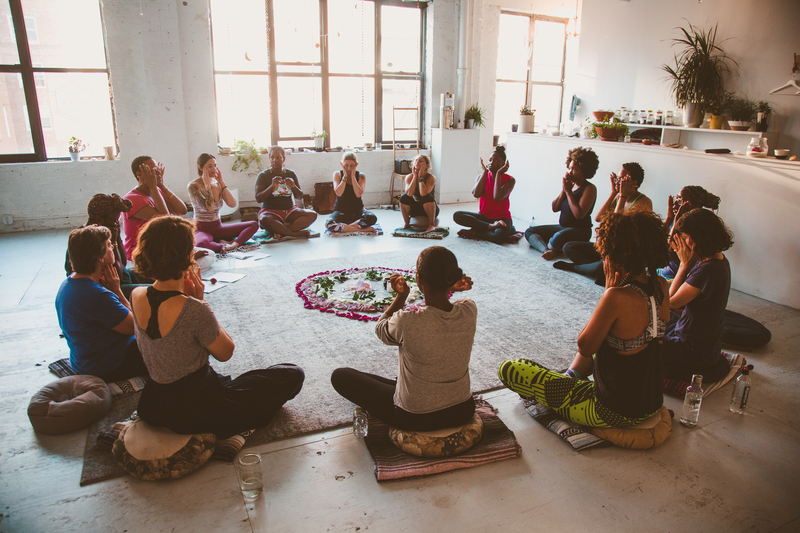 Now in yoga classes I love taking big audible exhales with my mouth open, making sounds like “ahhhh” or “mmmmm.” I love hearing my students make sounds with their exhales too. It brings me joy. I interpret the fullness of their breath as a sign of release and comfort. Looking back, I think part of my hesitation came from a concern for intruding on other people’s space. What I’ve learned is we can all take up more space. The yoga postures and breathwork teach me this – my mind is starting to understand. 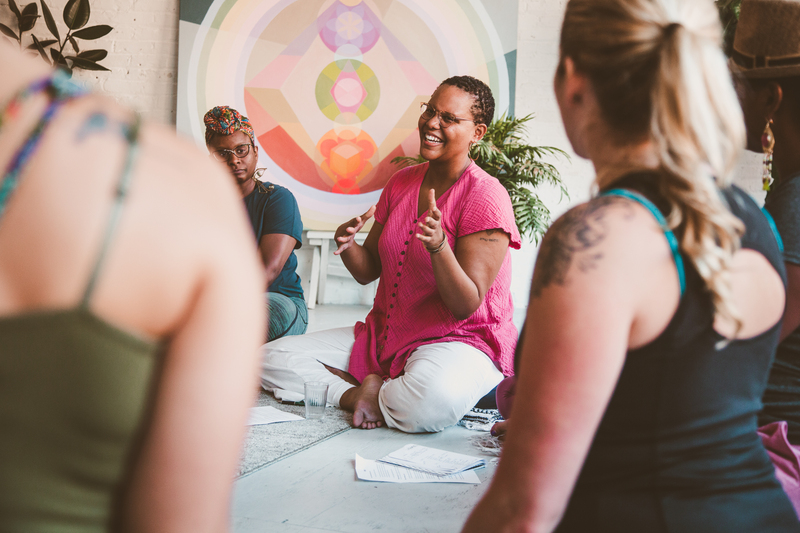 After attending one of Liana Naima’s breathwork sessions, I realized there is great amount more for me to learn about my body through my breath. I love yoga and the different styles available but practices like breathwork can enrich the asanas in new ways. 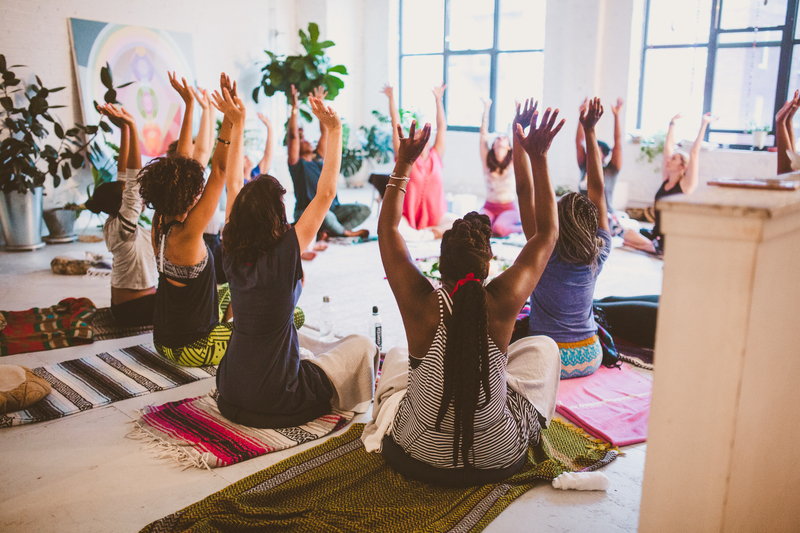 Because of this, I decided to take our events in a new direction to include practices beyond yoga that support whole body wellness. The first event was on August 22, Liana Naima co-hosted with me at Minka Brooklyn. 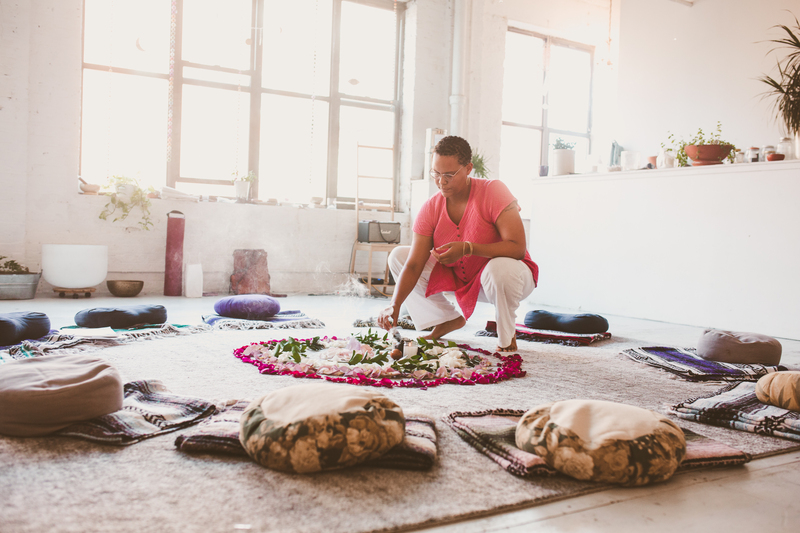 The event was called “Identity: An Exploration Through Mindfulness, Meditation + Breathwork.” Liana led us through the Bija Mantras, which use sound vibrations to connect with the seven chakras. 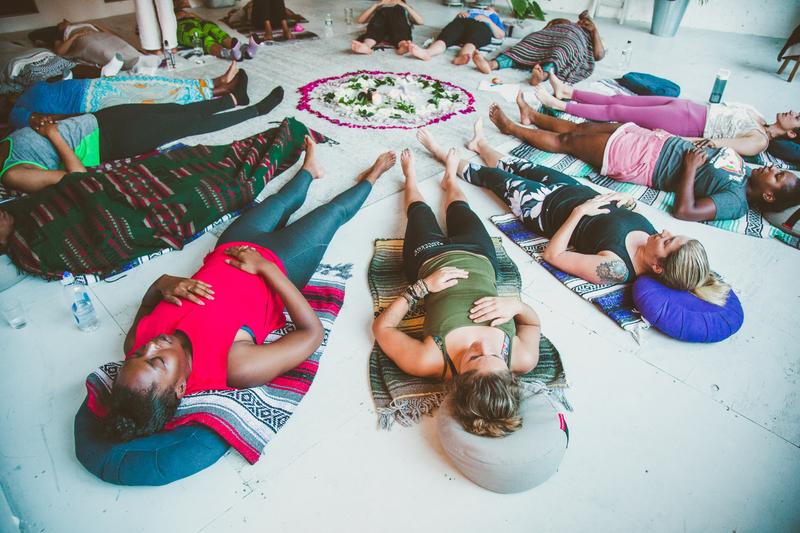 From the mantras, we laid down on our backs and Liana led us through 2-part breath and oceanic breath patterns. As we returned to our regular breath, our awareness came back to the physical space. 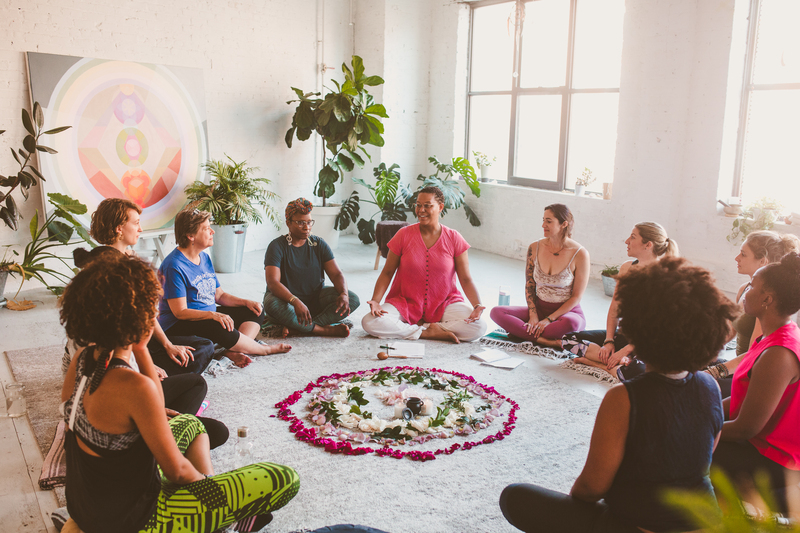 As a visual representation for our journey, we sat in a circle around a flower mandala with colors representing the root, heart and crown chakras. We shared space together but everyone had their own experience. For me, most of body went numb, I went from cool to sweaty and had to slow down with my breath at times. When I sat up afterwards, the room felt warm and peaceful. I wanted to have a sleepover party, it was that good. We finished the evening with group conversation, embracing the open state of being we created through the breath practice. We got into small groups and talked about how we understand our identity in relation to our body and how we respond to life events in our body. 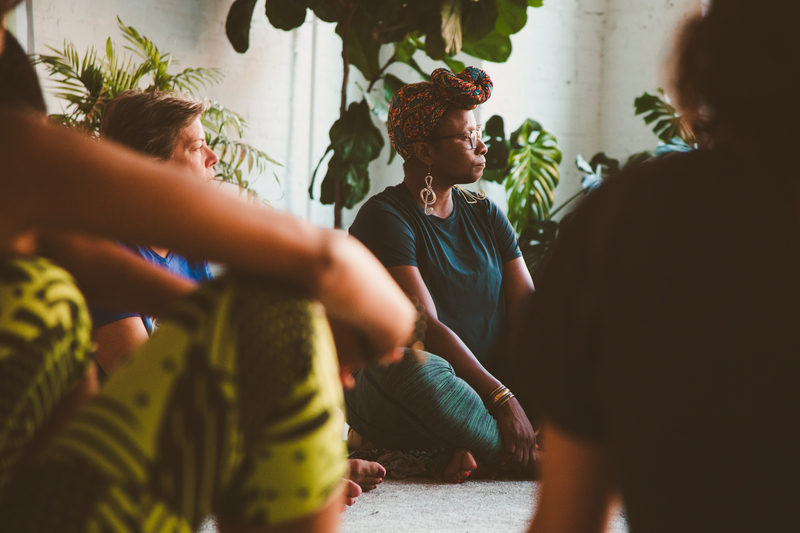 A big thank you to all who came out, Liana for leading us in a powerful practice of presence, Mink Brooklyn for providing a beautiful grounding space, Tattly for the custom Setu tattoos people went home with, Mast Brothers and Stems Brooklyn for enriching our experience with chocolate and flowers and Savannah Lauren for documenting our experience through photography.